Depending on what decade you grew up in, you can probably recall two or three distinct hairstyles that defined that era. From ’60s beehives to frosted tips of the new millennium, somehow these looks became the talk of the town at one point in time. Hairstyles like pixie cuts and afros are classic and everlasting, but there are others like The Mullet that we’re happy to have put behind us. Take a look at these awesome hairstyles throughout the years! In the late ’90s, everyone was raving about The Rachel. Named for her iconic character on Friends, Jennifer Aniston only actually wore the hairstyle for the first two seasons. But women continued to replicate the style for a good part of the late ’90s. The Beehive hairstyle was invented in 1960 by a celebrity hairstylist named Margaret Vinci Heldt. Heldt was commissioned by Modern Beauty Shop magazine to create a fresh look. Inspired by a black denim fez hat that she owned, Heldt decided she would create a style that could fit perfectly underneath it. “Once I started working, I really liked what I saw—I realized I was doing something different, and I liked it! …The editor said, ‘Margaret! That looks just like a beehive. Could we call it a beehive? '” Heldt told Modern Salon in 2012. The ’80s were full of hairstyles we’d rather not relive, but The Mullet was by far the biggest ire of that decade. Historians suspect that people have been wearing mullet-like hairstyles since ancient times to keep their necks warm while still being able to see. Fast forward to modern times and The Mullet has been redefined as “business in the front and a party in the back.” Thankfully, the trend didn’t last too long in the ’90s. Professional hairstylists have attempted to make it chic over the years, but let’s just agree that The Mullet was never meant to be. Hairstyles can be inspired by anything and one coming up came from World War II planes. Farrah Fawcett sported a voluminous, wispy layered look when she debuted on Charlie’s Angels. Before she started the show, she had just gotten that hairstyle done by celebrity hairstylist Allen Edwards. Edwards achieved the look by blow-drying her hair using his fingers and “pin curling” the ends. When it was all dry, they took out the pins and Fawcett would shake out her hair. Even though Edwards created the look, Fawcett told the media she did it herself. “I told her if you are going to say you did it yourself, then go do it yourself. That was the end of me and Farrah,” he told The Hair Nerds. Women have been known to chop their hair into short pixie cuts as early as the 1920s when parties filled with ladies in flapper dresses reigned supreme. A few decades later, an elegant version of the pixie cut surfaced in the ’50s ala Audrey Hepburn in Roman Holiday. But it wasn’t until the ’60s that the pixie cut really became a trend, as mod pop art icons like Twiggy and Edie Sedgewick took on the style. Most notable back then was Mia Farrow in Rosemary’s Baby. At the time, Farrow was in a relationship with Frank Sinatra and she chopped her hair off herself just to spite him. 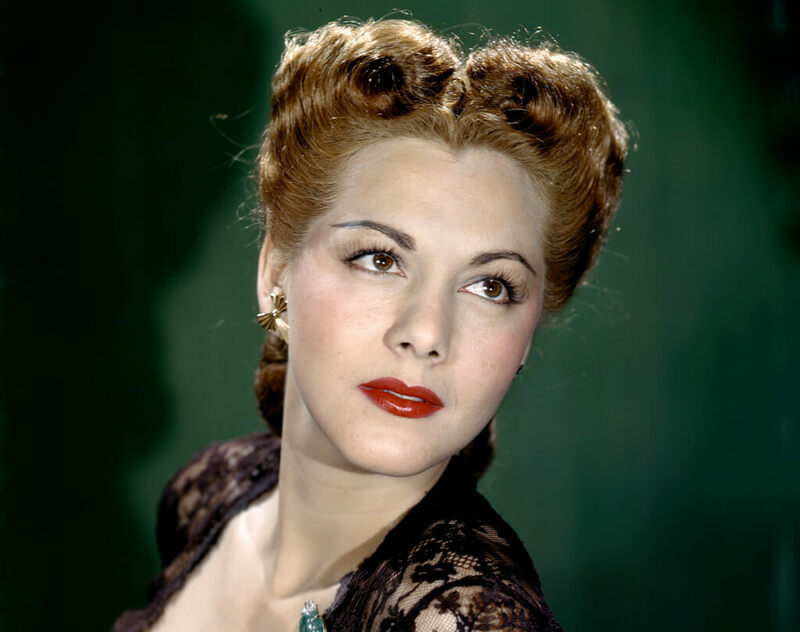 During the 1940s, many women would style their hair into Victory Rolls. A variation of the classic pin-up look, Victory Rolls were inspired by an aerobatic maneuver performed by World War II jets, which would leave a distinct pattern of clouds in the sky. Women back then had to find creative ways to make themselves attractive and divert people’s attention away from their clothes. During the war, everyday essentials were often rationed, so basic necessities for vanity weren’t always on hand for the average American woman. The look was achieved through various methods of pinning and curling with lots of hairspray. Coming up, a lot of people left a certain look behind because it was way too greasy. 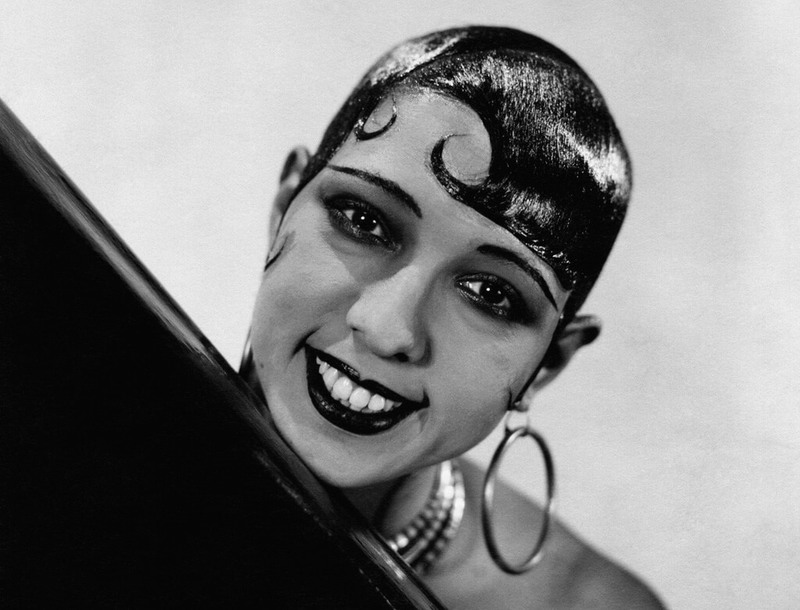 The Eton Crop was a style popularized by Josephine Baker. This hairstyle involves a very short bob that is slicked down with the ends stylized into a “kiss curl,” a swirl of hair at the forehead or the sides to evoke femininity. The cut was named an Eton Crop for the way it fused radical flapper style with that of public school boys. Back then, having hair this short was controversial at first. Women who wanted short hair in the ’20s were turned away by hairdressers who didn’t want to cut long locks. Instead, the women went to barbers who were happy to oblige. In recent memory, the last time crimped hair was a huge trend was in the early 2000s, when pop stars like Christina Aguilera and Britney Spears wore it frequently. However, crimped hair has been making a slight comeback on stars like Beyoncé. But the trend actually dates as far back as the ’70s, when Barbara Streisand was known to rock the look in her heydey. Hairstylist Geri Cusenza reportedly commissioned the first ever hair-crimping tool in 1972 just for Streisand. Since then the look has been known to come back every ten years or so, almost like clockwork. The Jheri Curl was named after hair-product mogul Jheri Redding, who invented a permanent two-step process for maintaining loose, shiny curls in ethnic hair. The style was popularized by the likes of Samuel L. Jackson circa Pulp Fiction and Michael Jackson’s “Thriller” era. Comer Cottrell, who founded Pro-Line Corp, then created an affordable at-home kit that allowed the masses to create the Jheri Curl for themselves. However, after folks made it through the noxious process, they still had to maintain the look on a daily basis with an activator that was notoriously greasy and stained. 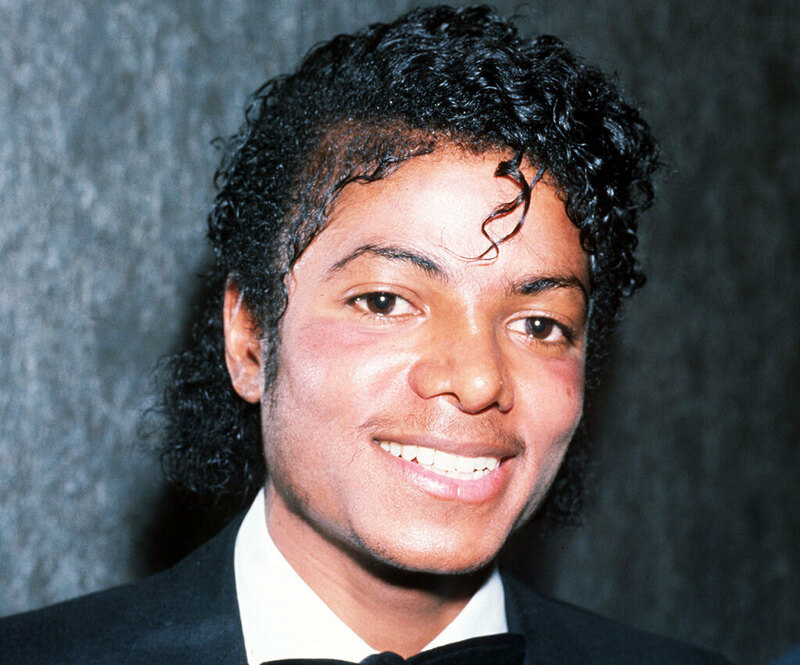 Needless to say, it wasn’t long before the Jheri Curl’s popularity waned. Guy Fieri is probably the only person left who wears the hairstyle coming up soon. The shag hairstyle was created by hairstylist Paul McGregor, who first gave the look to Jane Fonda just after she had finished filming 1969’s They Shoot Horses, Don’t They? Fonda reportedly went to McGregor and merely said, “Do something! I want to look like me again,” wanting to break free of her identity as the wife of screenwriter Roger Vadim. 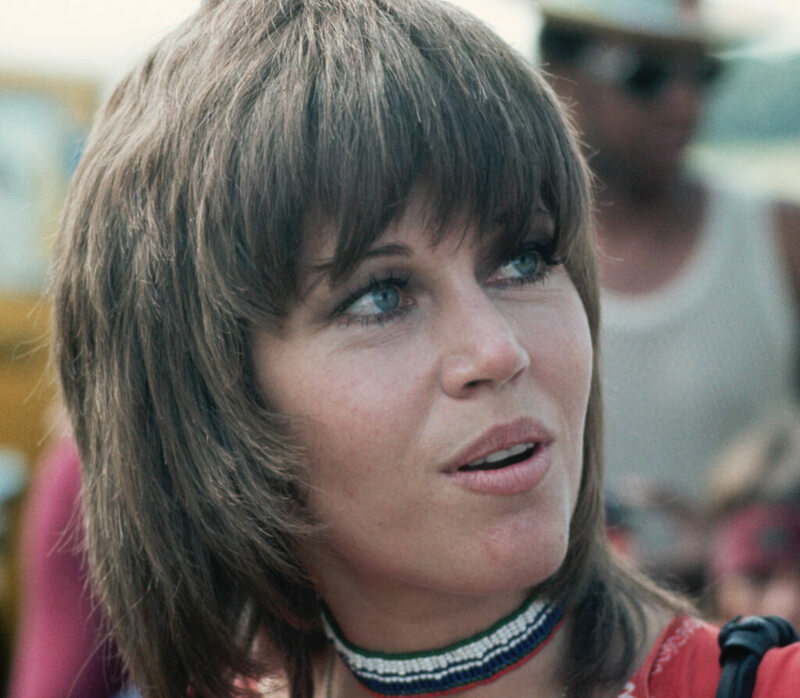 Fonda debuted the hairstyle in 1971’s Klute and The Shag haircut took on a life of its own from there. Soon, people realized that this was a unisex look and all throughout the ’70s and even into the ’80s, men and women were sporting this chopped, layered look. 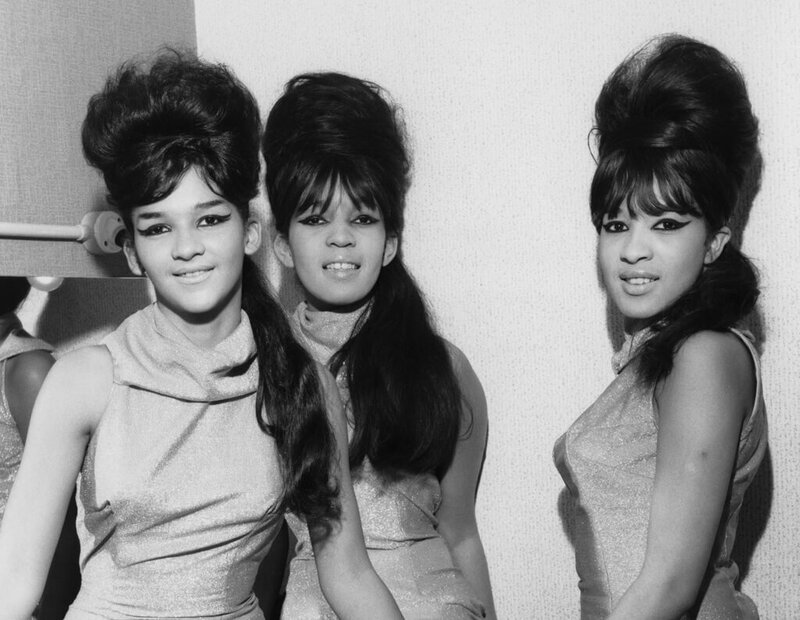 The ’60s were also dominated by bouffant hairstyles. Women would achieve this by backcombing or teasing the top and back of their hair, then smoothing over it with more hair. While this style is thought to have been used as early as the 18th century it was at its height in the ’60s. British hairdresser Raymond Bessone is credited with popularizing the modern bouffant as many celebrities at the time started donning the look. 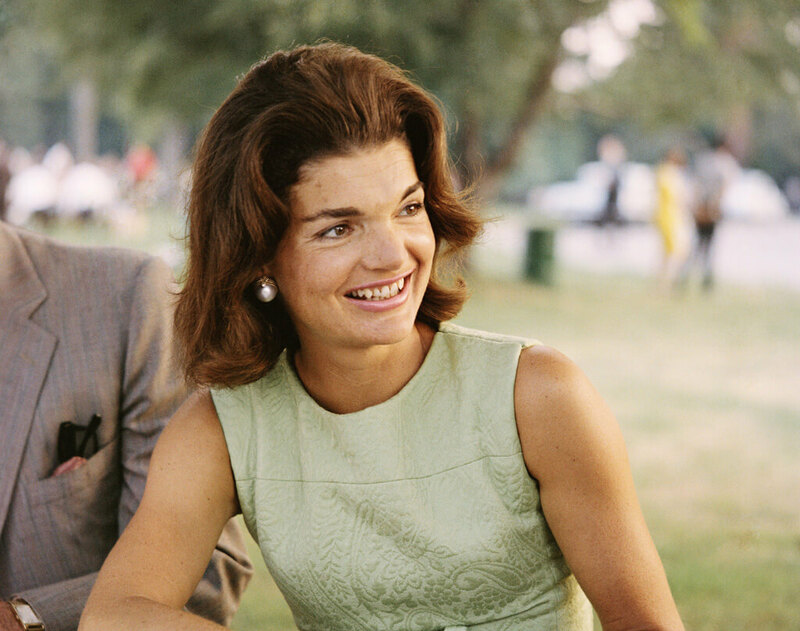 After then-First Lady Jacqueline Kennedy was often pictured with the style, many women tried to emulate it. Frosted tips in the late ’90s and early aughts are what The Mullet was for the previous generation. No one really knows why or how this eye-sore of a hairstyle came into existence and most people are still trying to forget that it did. Still, boy band members and MTV VJ’s kept the style relevant for a good few years. Frosted tips were pretty much for guys what an ombré or dip-dye was for women today. 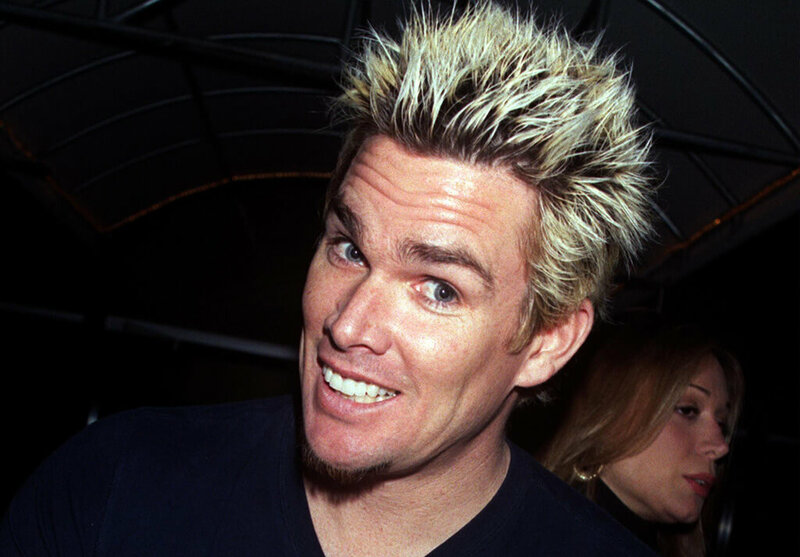 But the only guy who can get away with wearing frosted tips these days is Guy Fieri, but even then we still don’t want to see them. 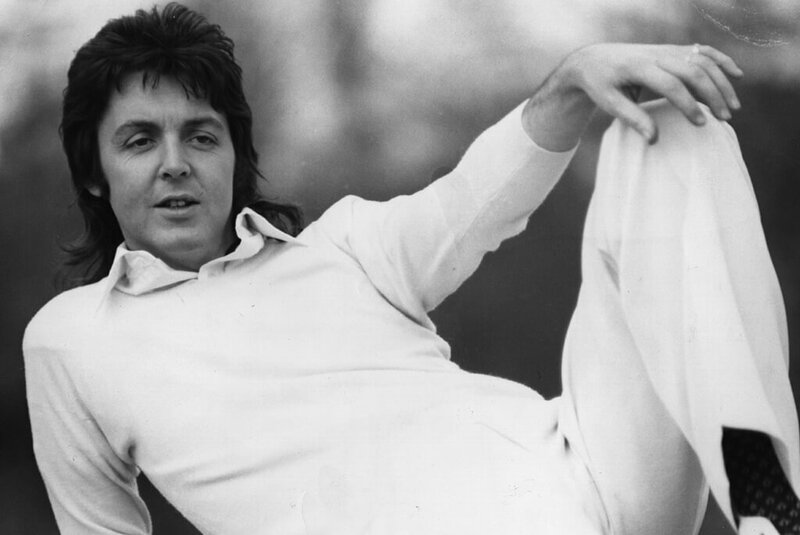 Among other men’s hairstyles we’re glad to get rid of, one coming up is apparently here to stay. The Afro was another prominent hairstyle during the ’60s. As the American Civil Rights Movement unified members the African-American community, many of them began embracing their natural hair. Afros were worn by both men and women. In prior years, some women reportedly would cover their natural hair with a wig or they would go through the process of relaxing their hair. But soon, many women were empowered to wear their hair naturally thanks to the likes of stars like Pam Grier, Angela Davis, and The Supremes. For how crazy things got in the ’70s, this hairstyle remained relatively straightforward. In this era, women embraced the free-flowing movement and began simply wearing their hair down in a very straight, sleek style parted down the middle. 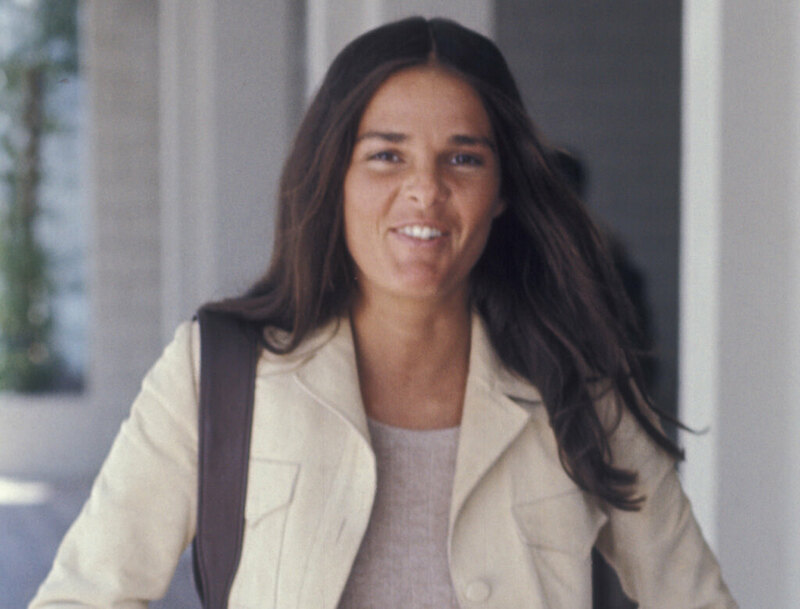 Some sources allege that the look was inspired by the 1970 movie Love Story, which starred Ali MacGraw and Ryan O’Neal. In some scenes, MacGraw’s hair is naturally straight and left alone. Whether or not she was the one who started the trend, many women began wearing their hair like this as well. Cher was another famous woman who brought the look to the mainstream. As early as 2013, man buns were on their inevitable rise. 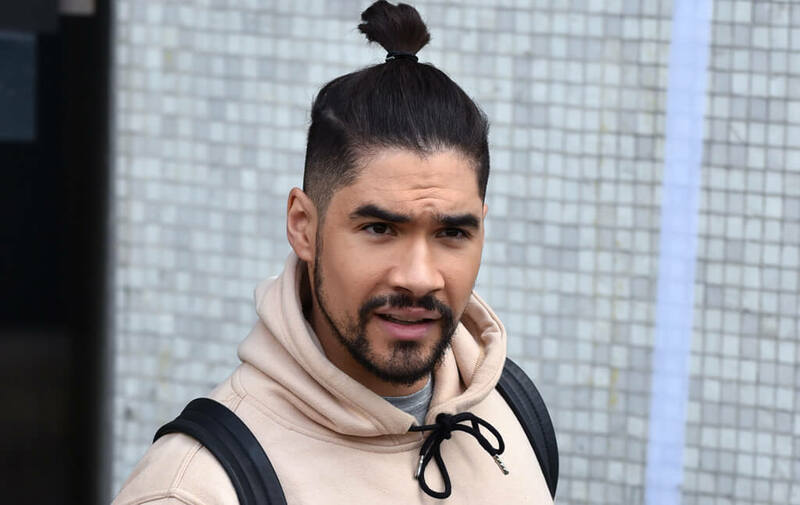 It’s hard to explain where and how the man bun came to be about, but alas, they came and now they’re here to stay. The look is pretty self-explanatory: it’s a bun worn by a male, except there are different variations depending on how much hair the wearer has. A lot of people credit celebrities such as Leonardo DiCaprio, Jared Leto, or Orlando Bloom with inspiring the average male to don this look. But there are others who’d argue that your garden-variety hipsters have been wearing man buns since before they became popular. In the late ’80s, perms started taking over many women’s heads — and the bigger the better. A perm was a way of making your hair curly for an extended period of time so that you wouldn’t have to deal with curling it every morning. The look became popular in the ’80s after women on television and in movies began wearing it. Soon, girls were convinced that a perm was the ‘it” hairstyle to have thanks to people like Sarah Jessica Parker. You were even cooler if you wore your perm with feathered bangs, but then again, if you did, you were probably DJ Tanner on Full House. Next, take a look at some hairstyles that have been popular among women in recent years. Beachy waves were hotly desired among women during the early 2000s, and some are still trying to keep the look strong today. But back then, everyone was aloof on how to perfect that “just back from the beach” look. It didn’t help that people like reality star Lauren Conrad or The O.C.‘s Mischa Barton wore the look so effortlessly. Soon, salt sprays and other hair products that promised beachy waves took over the hair product market. But by now a lot of people have realized that the look cannot be achieved without the help of a heat styling tool. In recent years, hairstylists have been convincing women to get a lob, which is a name or a long-style bob haircut. Getting a lob was a way to dip your toes into getting shorter hair, but it was cut at a longer length than the traditional bob haircut, which usually ends at the neck or shorter. Many of today’s celebrities have worn a version of a lob. Everyone from Khloé Kardashian to Selena Gomez has popularized the look on the red carpet. The lob is considered very chic by today’s style standards and it doesn’t seem like that will change any time soon. Ombré refers to the graduation of one color to another and that’s exactly what people have been doing with their hair ever since a few years ago. It can be argued that this was a look as early as the ’90s when frosted tips came about, but the ombré of recent years is much more natural and usually worn by women. The look has been worn as early as 2007 when Gisele Bundchen’s naturally dark hair faded effortlessly into the lighter browns and blondes at the ends of her hair. Since then, talented hairstylists have worked tirelessly to create perfect, natural-looking ombrés for women who want to be on trend. Why have your boring natural hair colors when you could spice up your life with a color like blue or yellow? That’s exactly what many celebrities have been doing as early as the ’90s, but it wasn’t until recent years that the average American has been doing it to themselves.